Jakub Szefer's research interests are at the intersection of computer architecture and hardware security. 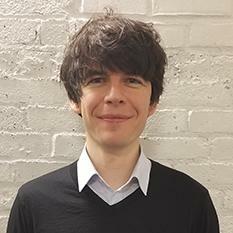 Jakub's recent projects focus on: security verification of processor architectures; hardware (FPGA) implementation of cryptographic algorithms, especially post-quantum cryptographic (PQC) algorithms; designs of new Physically Unclonable Functions (PUFs); and leveraging physical properties of computer hardware for new cryptographic and security applications. Nikolay Matyunin, Jakub Szefer, and Stefan Katzenbeisser, "Zero-Permission Acoustic Cross-Device Tracking", in Proceedings of International Symposium on Hardware Oriented Security and Trust (HOST), May 2018. (Best Student Paper Winner). Wen Wang, Jakub Szefer, and Ruben Niederhagen, "FPGA-based Key Generator for the Niederreiter Cryptosystem using Binary Goppa Codes" in Proceedings of the Conference on Cryptographic Hardware and Embedded Systems (CHES), September 2017. Wen Wang, Jakub Szefer, and Ruben Niederhagen. "Solving Large Systems of Linear Equations over GF(2) on FPGAs." In Proceedings of the International Conference on Reconfigurable Computing and FPGAs, ReConFig, November 2016. Wenjie Xiong, Andre Schaller, Nikolaos A. Anagnostopoulos, Muhammad Umair Saleem, Sebastian Gabmeyer, Stefan Katzenbeisser, and Jakub Szefer. "Run-time Accessible DRAM PUFs in Commodity Devices." In Proceedings of the Conference on Cryptographic Hardware and Embedded Systems, CHES, August 2016. Jakub Szefer, "Principles of Secure Processor Architecture Design", Morgan & Claypool Publishers, October 2018.